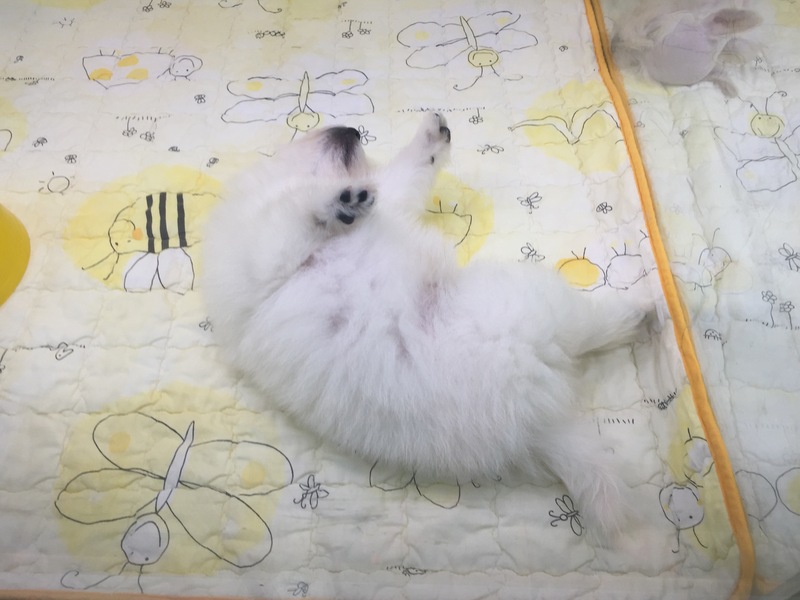 Chungmuro is so dog-gone cute! 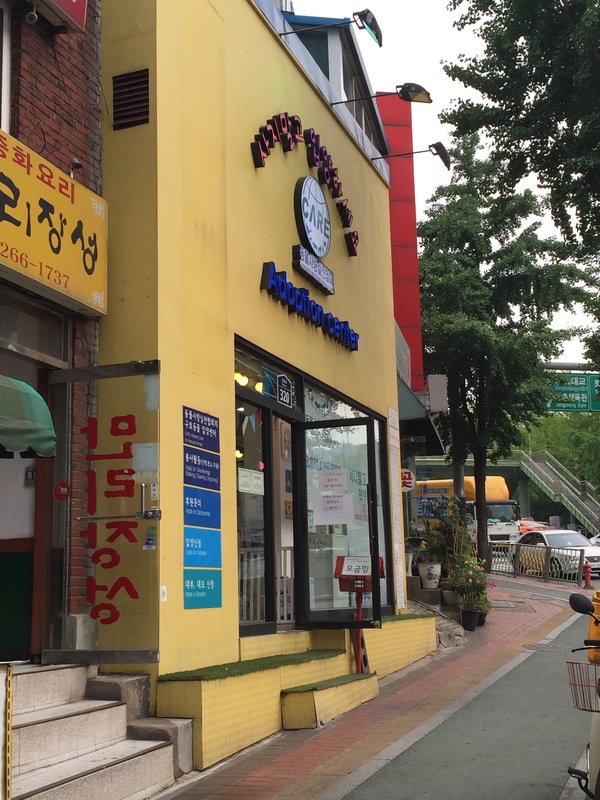 If you’re in the market for a puppy, you will probably hear about Chungmuro pet street located on Toegye-ro (you take the subway to the Chungmuro stop and come out of exit #8 and walk straight a bit). 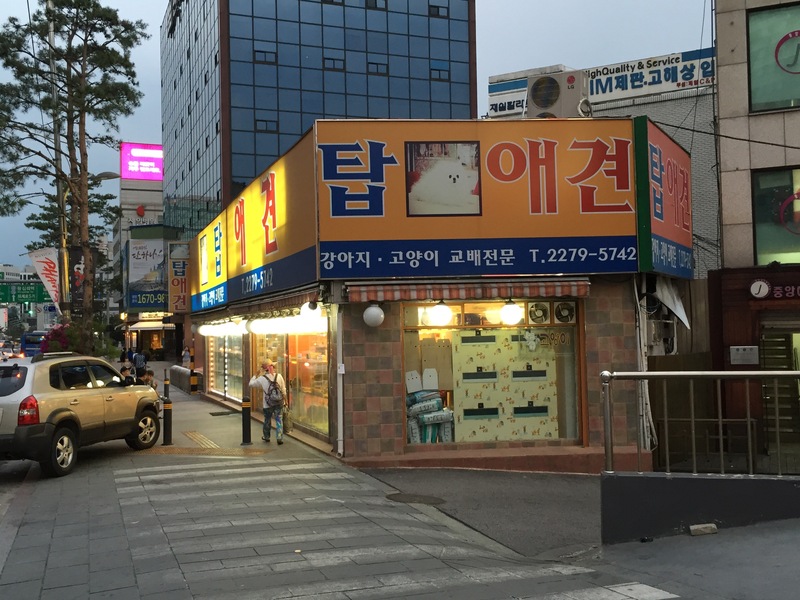 They have a whole street of stores dedicated to selling puppies of all shapes, sizes and colors. 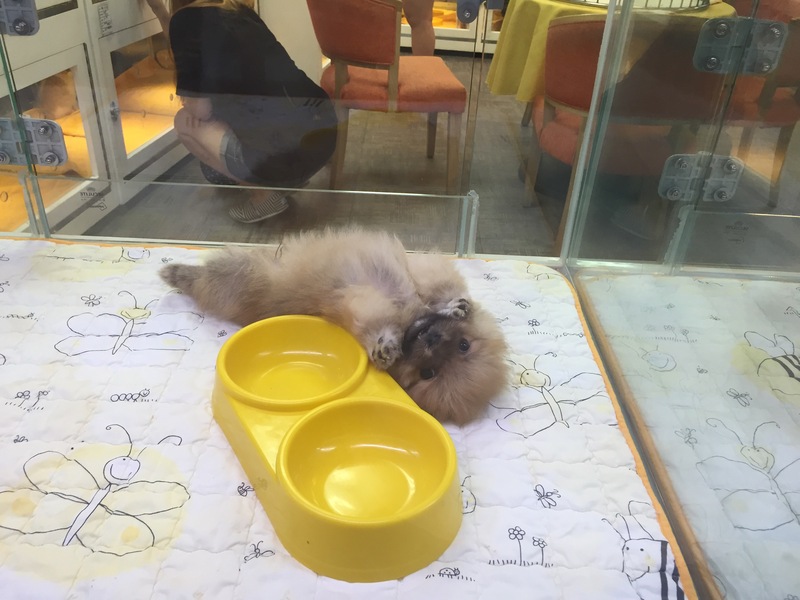 Prices are as low as 300,000 won and go up from there based on the dog. From what I hear, all of the dogs are from puppy mills and the dogs are just another product that is sold. With that being said, the puppies are still very cute and need homes. Many a person leaves here with an adorable new addition to their family. Here are some silly puppies that we saw while there. However, if you are like many people out there and you want to adopt a shelter animal, then you are in luck as well. C.A.R.E is an animal shelter that is located in the same area. 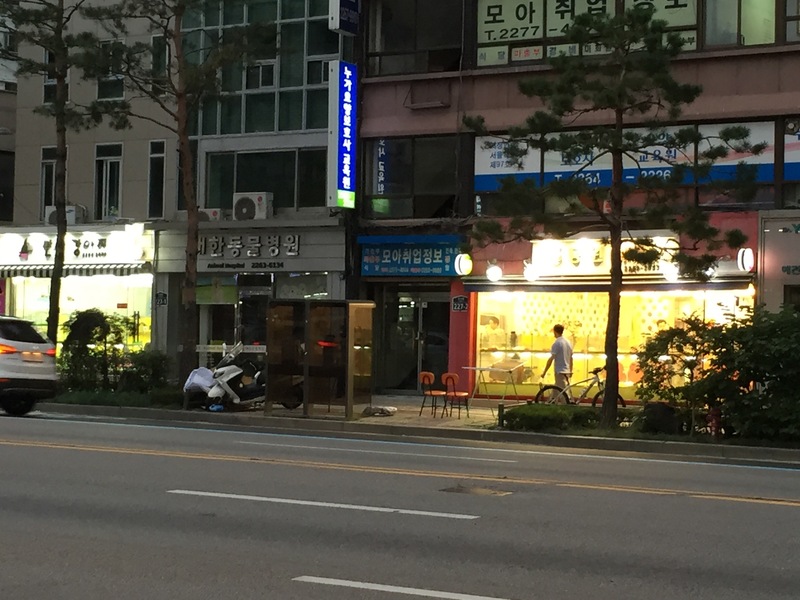 You just keep walking past all the Chungmuro pet stores and past all the motorbike shops and you will see it on your right. 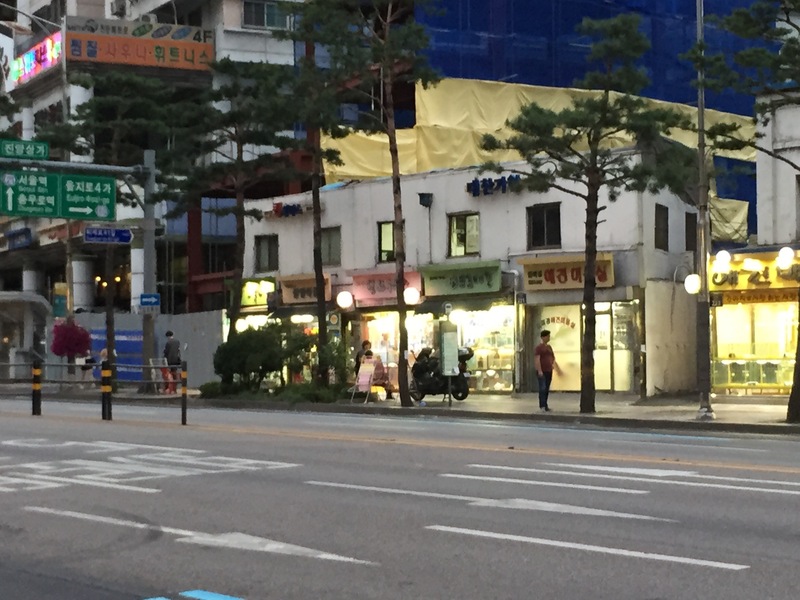 Or if you want to go directly there, you can take the subway to the Dongdaemun History & Culture Park Station and come out of exit #5. After you exit, walk straight for about 2 blocks and you will see it on the left. 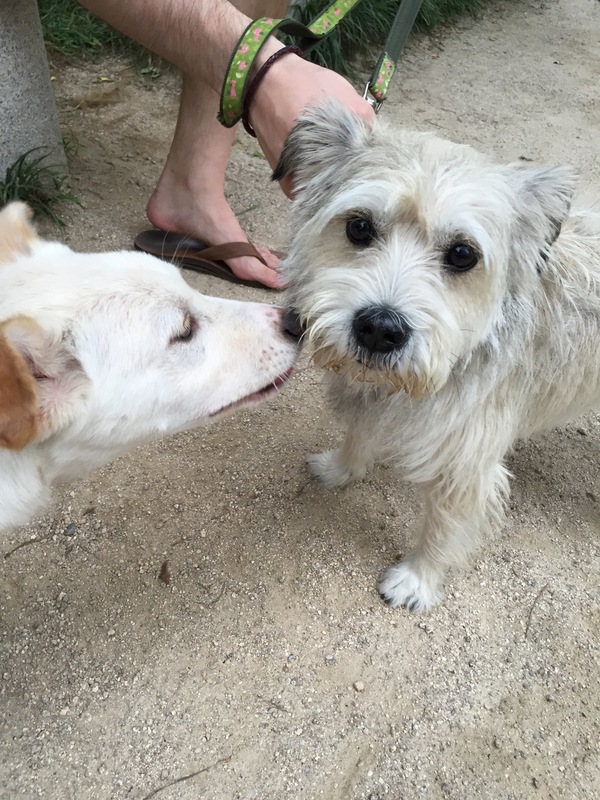 We recently visited C.A.R.E.’s shelter and looked into adopting a new friend. You should note that the staff at the shelter really don’t speak English. So it’s best to contact them via their website first and have one of their English speaking staff help you. Next Post Visit to CJ Foodworld!